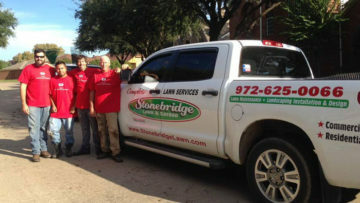 Stonebridge Lawn & Garden is a family owned and operated full service lawn company established in 2005. 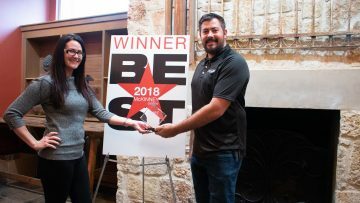 We take pride in treating our customers and employees like family. 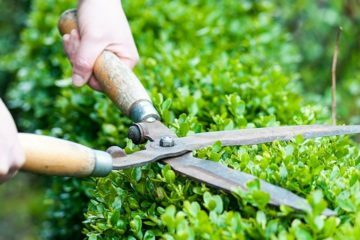 Our crew members have years of experience and knowledge to accommodate your lawn and garden needs. Our crew leaders can assist you with any questions you may have while they are out servicing your lawn. Our marketing manager Kathy has years of experience and a background in horticultural studies. Beth, our office manager will assist you in setting up all your services and answer any questions you may have while offering the best advice for you and your lawn. 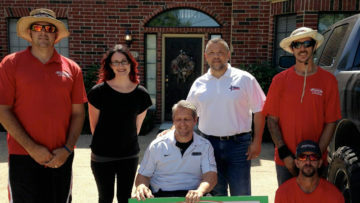 Tony, the owner will come out and personally quote your lawn and landscape needs. Anywhere from designing your landscape to deciding the best approach for your weed control. At Stonebridge Lawn and Garden we do not have contracts, but we do have a set schedule for your weekly or biweekly lawn care. Additional work may be scheduled on a different day. We service year round with once a month winter maintenance in December, January, and February. We offer no hassle end of the month billing accepting Visa, Discover, or Master card. Your invoice receipt will be emailed directly to you. Why Stonebridge Lawn & Garden? Stonebridge Lawn and Garden allows me to enjoy my lawn stress free with out worrying if the crews are going to show up and service. They are prompt with their services and always available if I need to contact them for extra work. 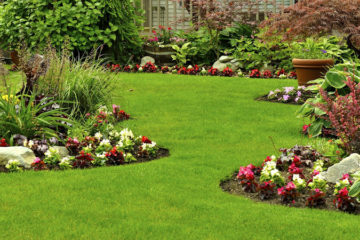 We have used Stonebridge Lawn and Garden for many years and they always amaze us with their knowledge and services. I like that they are a real family oriented company and they know how important it is to satisfy their customers.